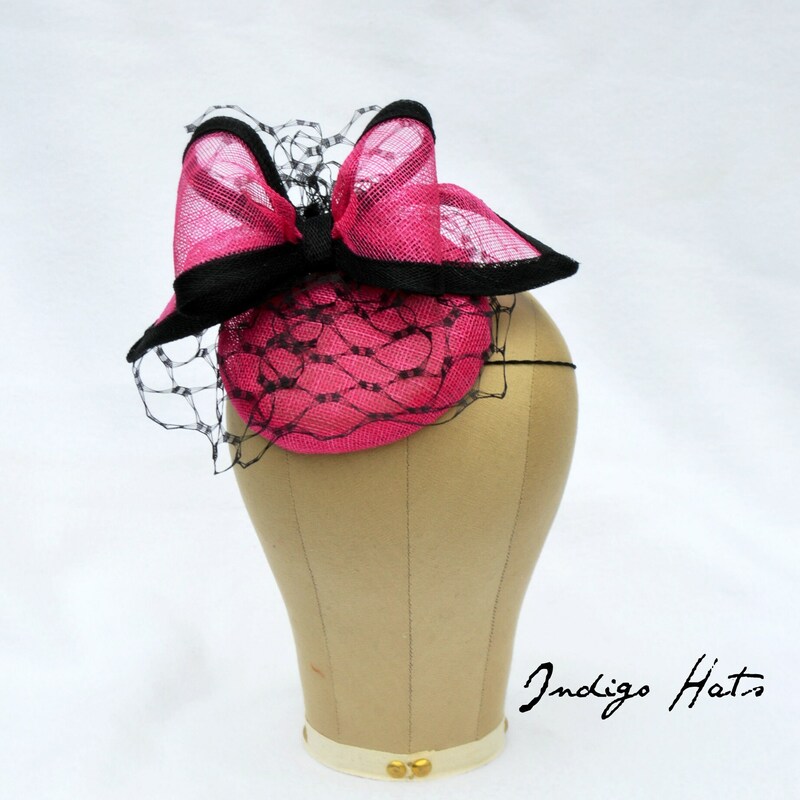 VIVACIOUS PINK FASCINATOR Kentucky & Belmont Derby, Royal Ascot or a fab Wedding Guest -handmade with care by Jaine. 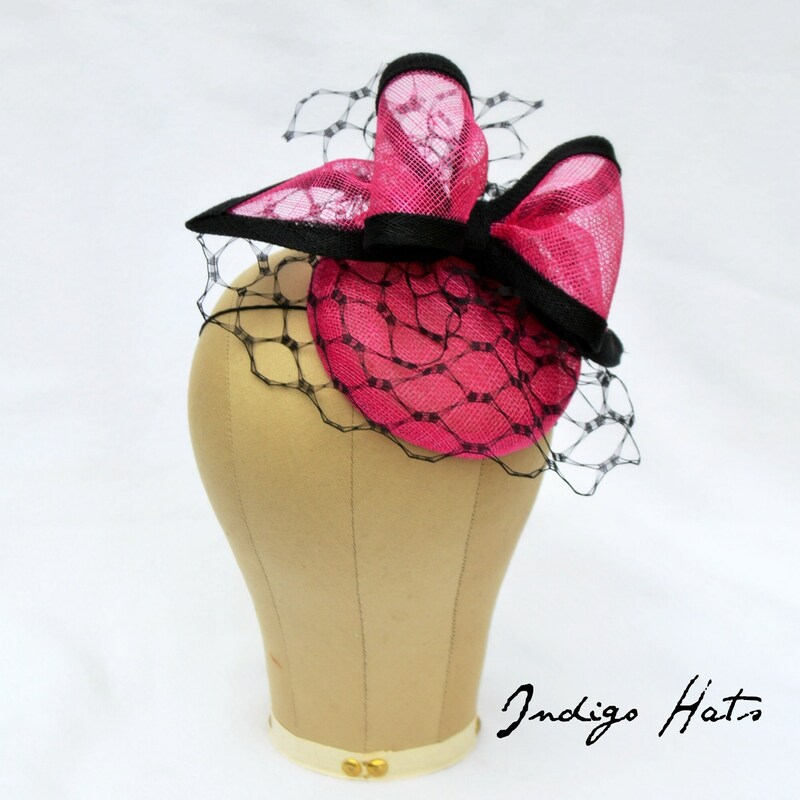 - hot new hat with cool vintage style. handmade with the greatest of care by Jaine. 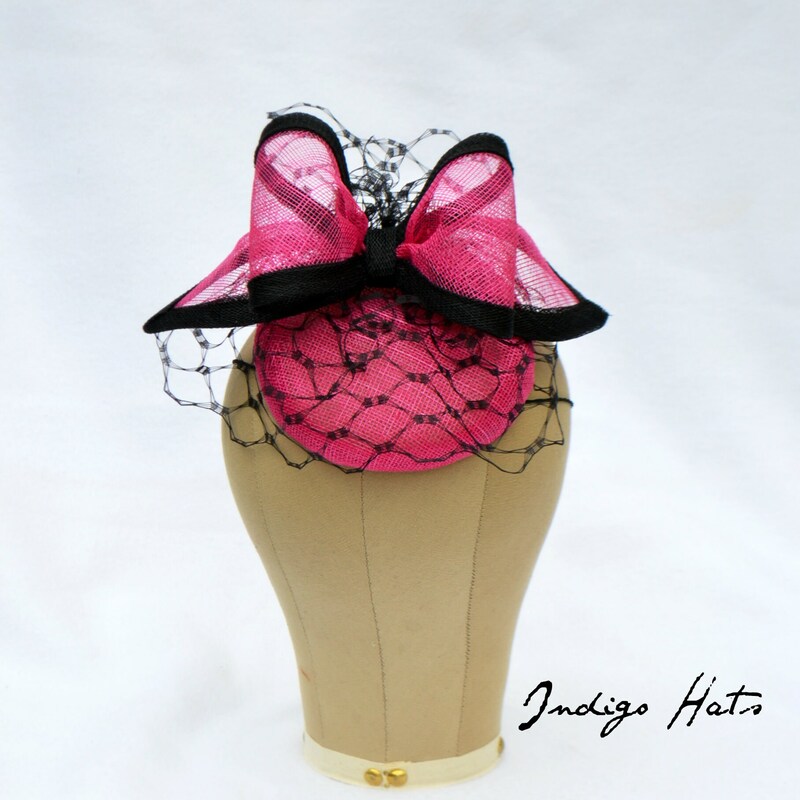 I hand blocked this stylish button fascinator in sinamay with a sinamay bow trimmed in contrasting Black sinamay. 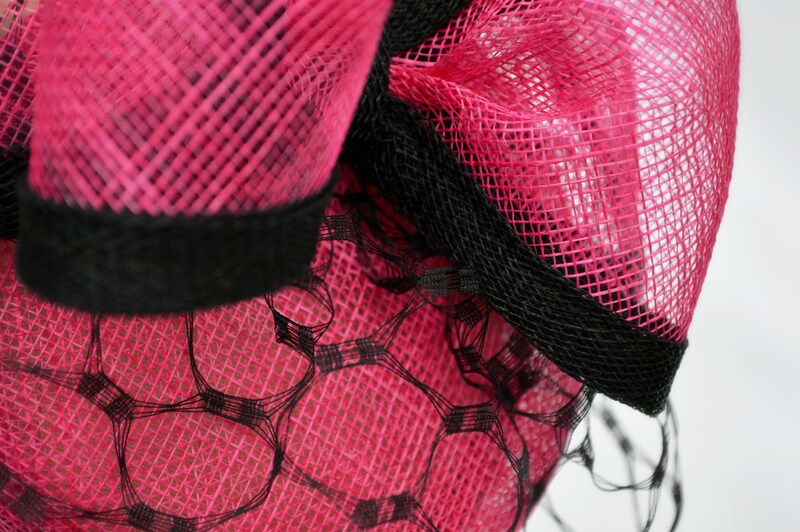 (sinamay is a natural woven fiber, light but strong). 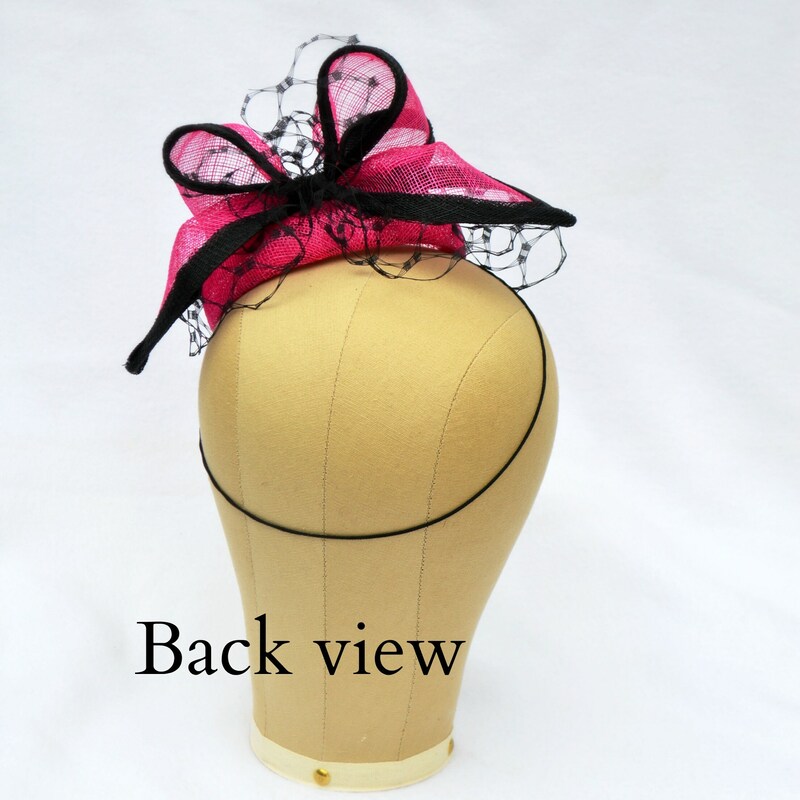 I finished it off with this wonderful black 'honeycomb' veiling. 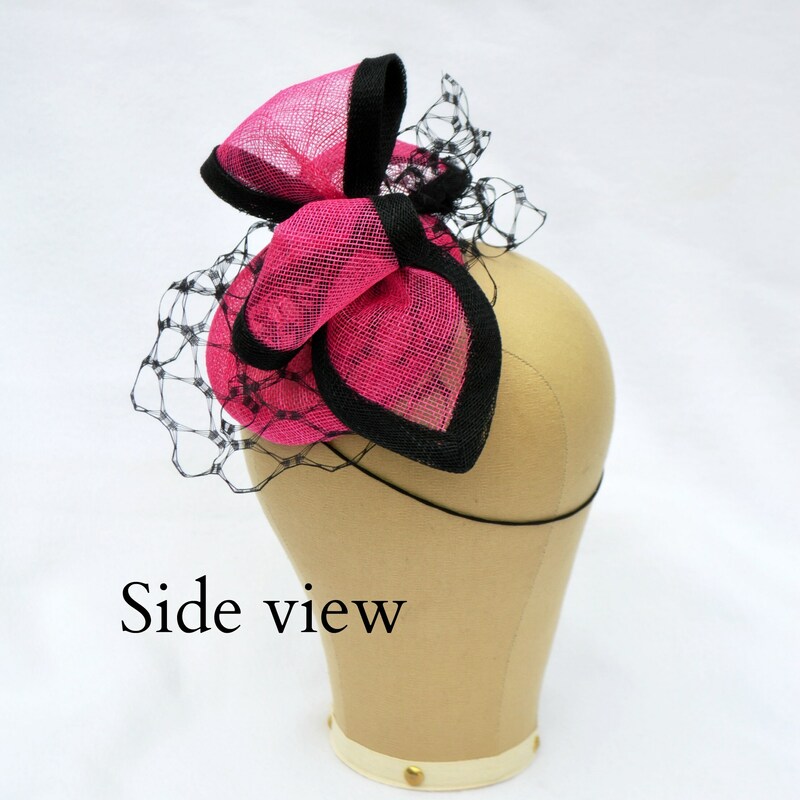 It measures 5" across and this one is attached to an elastic but I can attach to a narrow matching ribbon covered metal headband if you prefer. This can be made in any other color too.